While having a record of pages you have visited isn’t really a bad idea. You would sometimes want to keep some pages private or away from a friend. 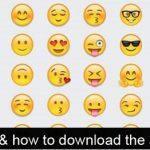 These tips are useful if you don’t want to clear your whole history. However, this will save you the hassle of clearing your whole history and then trying to remember a website you want to visit. In Internet Explorer, initially, you had to click on the star on the top right side of the browser to see the browser’s history. But if you making use of the current version, i.e Internet Explorer8.0. You have to click on the favorite with a star, on the top left side of the browser. Then select the “History” tab. You will be provided with a drop-down menu with few options. You can click on any of the options. Either “view by site” or “view by date” or other option depending on your preference. However, you would also be provided with a “Search History” option if you feel it would be easier than going through your history one at a time. If you choose “view by site” or “view by date” you can right click on the site and select expand to see the individual pages visited. Now you can right click and select delete to remove the page or the entire site from your history. 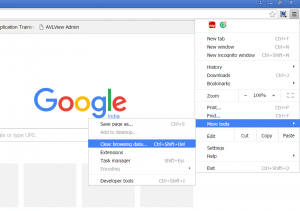 In Google Chrome, deleting a single page from your browser history isn’t quite difficult. Navigate to the options button on the top right side of your browser. A list of options will be provided to you including the “History” tab. Click on the “History” tab and you will see all visited website. Or you could use the following hotkeys. Ctrl+H and this will open your history list. A check-box will appear in the column to the left of each page. Then check the boxes of any page you would want to remove from your history. Or you could use the search bar, type in the domain of the website you want to hide. Then click “Delete” at the top of the page. Then a prompt box will appear, to verify your request. You would just have to click on “Remove”. Deleting a browser history in Mozilla Firefox is a little different from the others. First, you have to locate the options button on the top right side of your browser. Though it doesn’t really look like an option button. Click on it anyway. It provides you with many options, “History” included. Click on “History” and your visited pages would appear. Once you have seen the page or website you want to delete. Right click and click on “delete page”. I would not prefer this method because some limits are sets. You would not be able to a search bar here. A preferable method would be to just use the following hotkeys. Ctrl+H and this will open your history list on the left-hand side of your browser. You would also be provided with a search bar. And your history is arranged according to the date/period they were opened. You would have to expand any of the date/ periods. And once you have seen the page you want to delete. Right click and click on “delete page”. You can now go to your navigation bar to check if the deleted website domain will still appear on your search bar history. Note:- If you select “forget about this site” Firefox will remove all entries related to that site rather than just an individual page. 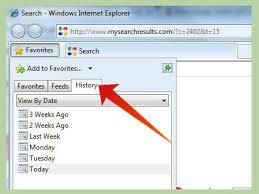 Deleting a page in your browser history in Opera Mini is easier compared to other browsers. You can click on the Opera Mini icon on the top left side of the browser and navigate to the “History” tab. Or you could just use the following hotkeys. Ctrl+H and this will open your history, taking the full screen of the browser. You would also be provided with a search bar at the top. While you hover on any page and an icon will be shown on the right side of that page, indicating “Remove from history”. Just click on the icon and the page will be deleted from your history.